The Green Lantern Corps Cast – Rebirth! Exclusive Interview with Justin Jordan at C2E2 2014! I went to C2E2 last week and talked to Justin Jordan, writer of Green Lantern: New Guardians about the future of Kyle and Carol as well as the Uprising! Check it out! TheGreenLanternCorps.com proudly presents The Green Lantern Corps Cast, a podcast focusing on all things Green Lantern! After an even longer hiatus then the last time, the Corps Cast is back! This time around they are joined by the new writer of Green Lantern: New Guardians, Justin Jordan. Listen as they discuss a bevvy of topics including Kyle Rayner and the Templar Guardians, pushing DC Comics boundaries, Green Lantern writer and editor meetings, the John Stewart/Joshua Fialkov controversy, Sinestro, rumors, Indie vs Major comics, and so so so much more. Delays happen but as some old guy in Toy Story 2 once said “You can’t rush art!” We’re back! So tune in for all that and so much more on this episode of CorpsCast. TheGreenLanternCorps.com proudly presents The Green Lantern Corps Cast, a podcast focusing on all things Green Lantern! 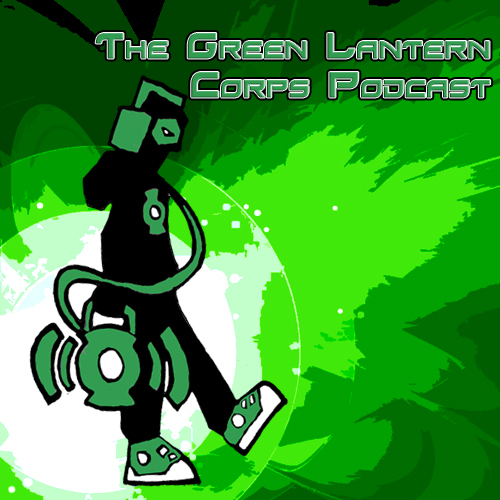 This week the gang goes back in time once again to discuss the zero issues for Green Lantern Corps and Green Lantern: New Guardians. One writer is clearly a fan of HBO’s The Wire, while the other forgets which Green Lantern book he’s writing. Carol Ferris gets a new costume and a new ring and Guy Gardner gets a new origin. “Red Shirt” Lanterns return and Sinestro is mistaken for John Stewart…who doesn’t show up at all. Find out who loved the artist change and what exactly is the “OMG Face”. There’s a big twist that doesn’t go over very well and a discussion on Hal Jordan quitting the only job he has. So tune in for all that and so much more on this episode of CorpsCast.